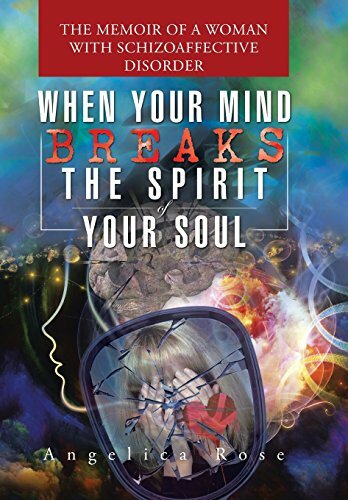 When Your Mind Breaks the Spirit of Your Soul: The Memoir of a Woman with Schizoaffective Disorder@1646 Rs [Mrp:-1646] - Onlinedeals.discount - A leading product discovery website. Find the true prices of products, read reviews and buy top brand products at reasonable prices. It all started when I was about fifteen years old. I was playing for the Amateur Softball Association, or Junior Olympic Softball. I was a standout pitcher, throwing the ball about sixty-five miles an hour. I loved softball; it was my sport, and it was my passion. But something was taking over my body, my brain, and my soul. I wasn’t in control anymore. I used to throw no-hitters, strike batters out, and be proud of myself. But a switch went off in my brain. I was hearing voices; they were telling me to do certain things. I was paranoid, and it affected my pitching. My dad could no longer sit anywhere near where I was pitching because I could see his eyeballs. Those eyeballs were following me and distracting me, so he had to sit behind the outfield fence. I could hear what the batters were thinking, and I could hear what everyone in the stands where thinking. It ruined my career. The sad part about it was that nobody helped me. How could they have helped me? I never told anybody because I was so afraid. Was this normal? I sometimes think it started even earlier, maybe even as young as six years old. The voices and paranoia were so intense; sometimes I just wanted to end my life. Why did my parents not notice this? Why didn’t anybody notice this? I kept it all to myself and dealt with it myself.